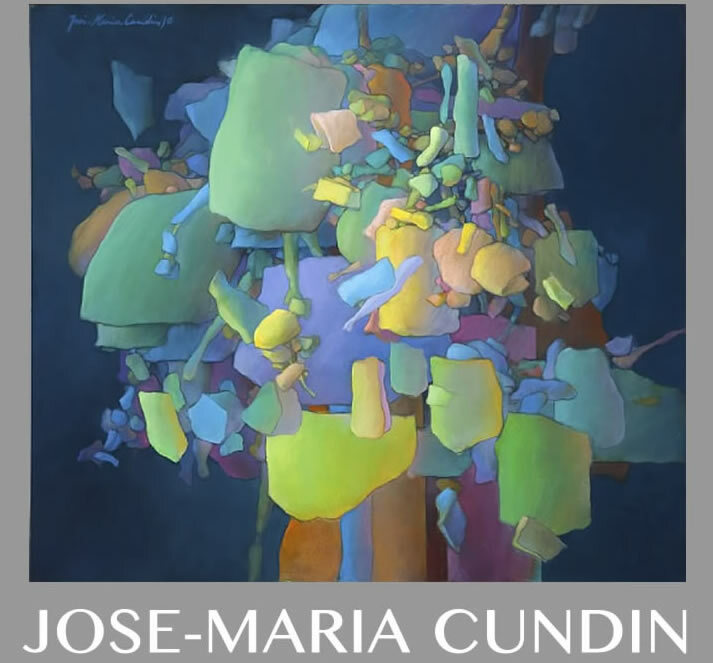 Born in Bilbao, The Basque Country, Spain in 1938, José-María Cundín’s professional trajectory expands more than a half century. Esteemed as an outstanding advocate of the historical Avant Garde in his native Basque Country, his first one-man show was in Bogota, Colombia, where he lived during the ‘5Os and created wide-ranging projects. Cundín established residence in the United States in 1958 in New York. Before settling in New Orleans in 1964, where he is regarded with renown, he worked in Paris and Bruges, Belgium. In the ‘70’s he spent long periods working and teaching in Mexico. Cundin’s paintings and sculptures are in numerous Corporate and Private collections in Europe (including Spain, France, England, Germany and Belgium) and the Americas (the U.S., Canada, Mexico, Argentina, Brazil and Colombia) and his works hang in these Institutions: Museo de Bellas Artes de Bilbao; ARTIUM, (Contemporary Art Museum), Vitoria, Basque Country, Spain; El Museo de Antioquia, Medellin, Colombia; New Orleans Museum of Art; and Johnson & Wales University. Presently he resides and works in Folsom, Louisiana. 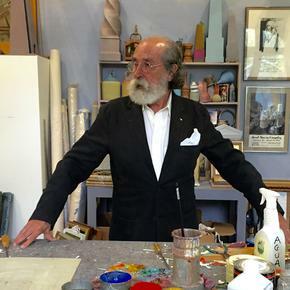 RECENT BLOG INTERVIEW SEGRETA,LESLIE SINCLAIR; Artist Spotlight José-Maria Cundin: Today I am thrilled to feature the amazing Spanish painter and sculptor José-Maria Cundin! His exceptional abstracts, portraits, murals and sculptures are truly inspiring.